Through the lens I cherish the moment in time. (scroll down if you don't see the link you want) thanks! 'Caught' raiding the bird suet and scrambled up the tree. 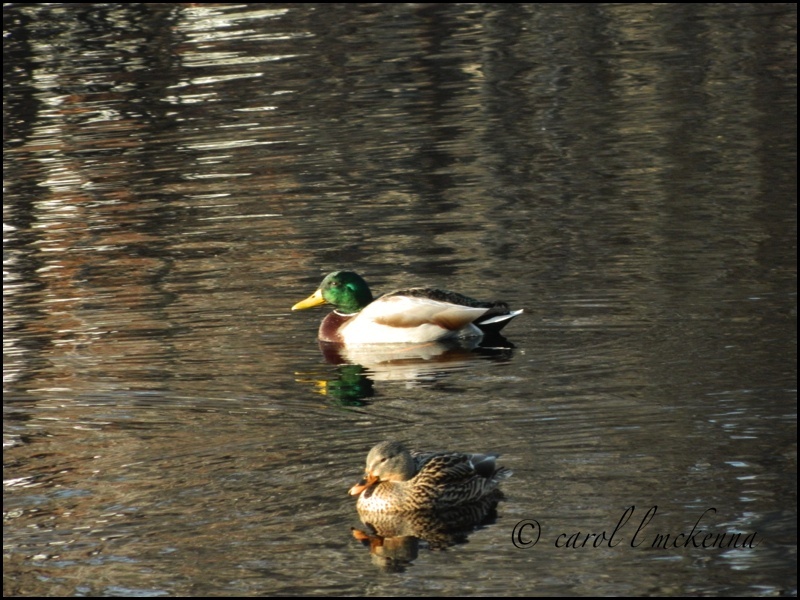 Even the ducks on Cape Ann MA were out to enjoy the good weather before the storm. but most important was sharing family time. Grateful. 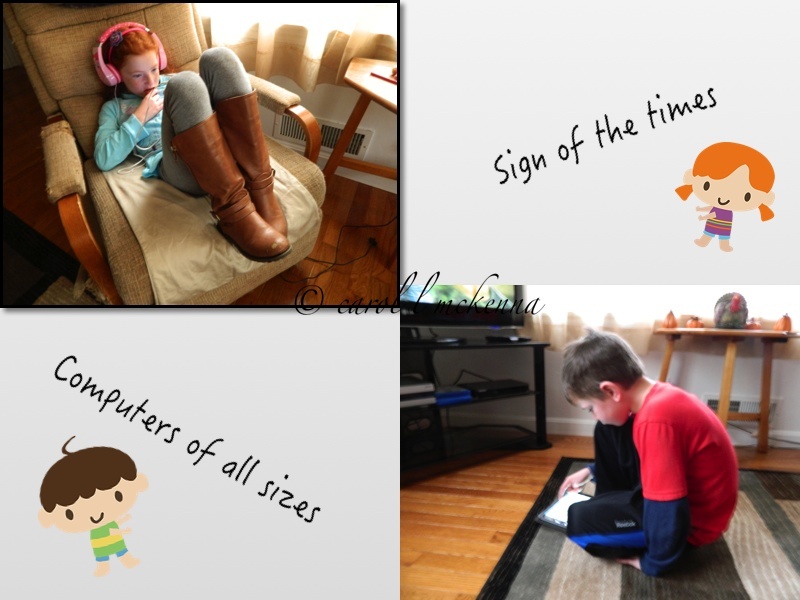 Around the world and on Cape Ann MA ~ 'little ones' now 'eyes' on a computer! Your posted comments enhance our blog. Thanks! Beautiful images Carol, have a wonderful week. 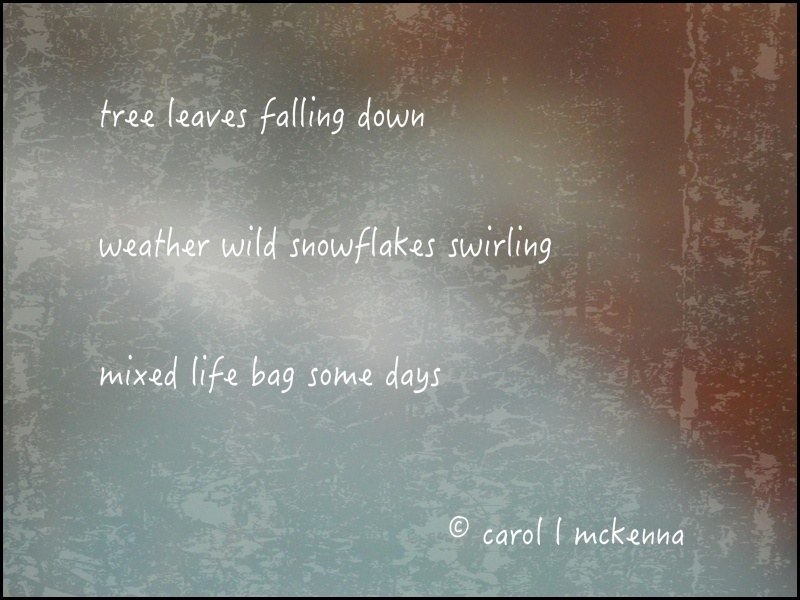 Lovely haiku and images.. The children are adorable. Wishing you and your family a HAPPY Thanksgiving! Beautiful pictures, beautiful words! Happy Thanksgiving! Happy Thanksgiving, Carol, to you and your muse. I wonder if the next generation will be hunched a bit more, like the tree bark in your photo, due to looking down so much into little screens. I really like all the photos you show of the sea and beaches - but the one this week looks very cold! Very cute mosaic of computers of all sizes!! 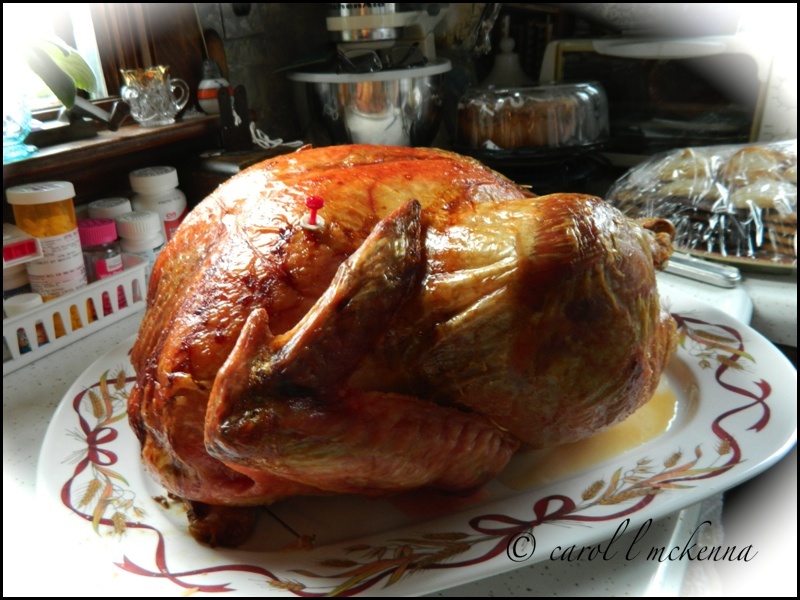 Happy Thanksgiving Carol and Artmuse! May y'all have a wonderful Thanksgiving and thank you so much again for visiting me. I come here and there's so much peace surrounding your work and your art! These are all so very beautiful! 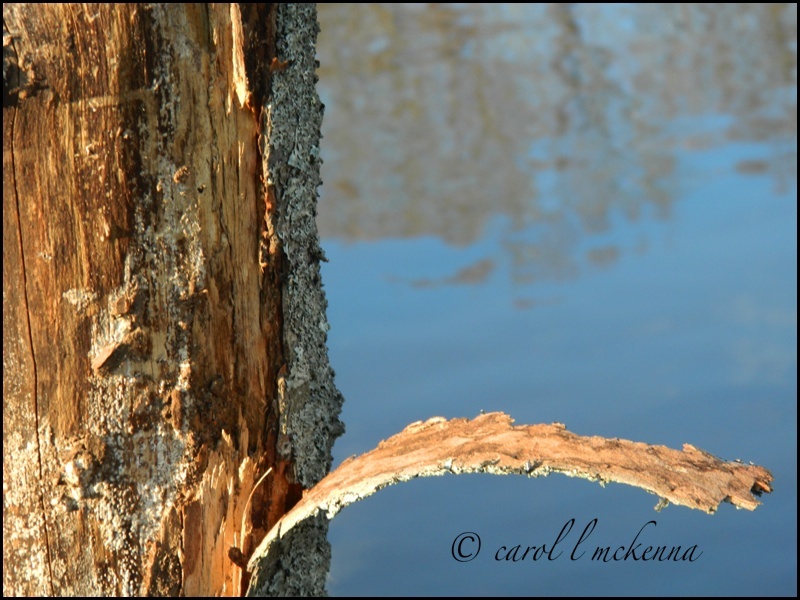 The bark is classic, great pics Carol! Happy Thanksgiving! Wonderful series of images and quotes. 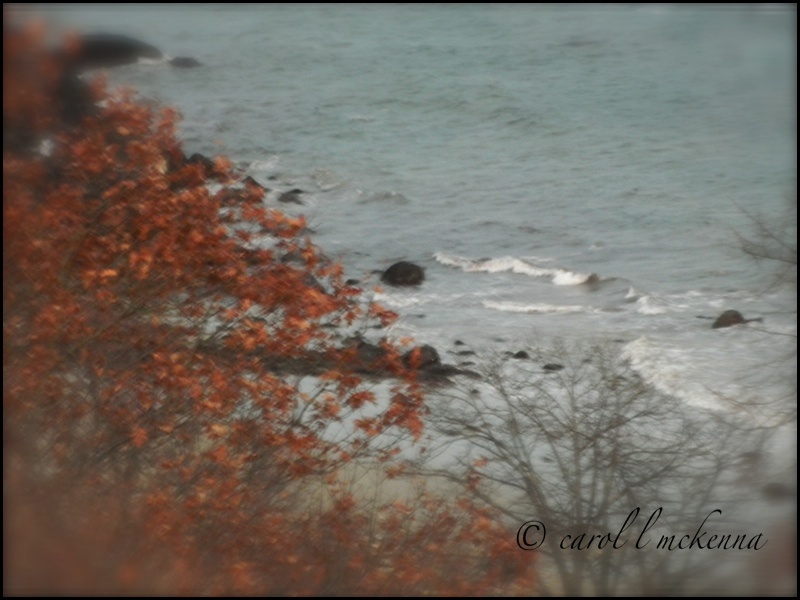 I love your seashore pic and the double bonus poems. The little computers, they drive me crazy, or more precisely the people that use them. Great post today connecting to all those memes with just the right picture. Have a lovely week! Oh, how very lovely. Have a wonderful Thanksgiving. You are celebrating Thanksgiving, aren't you? This is a typically American feast and I should like to know more about it. I am going to google this tradition and I wish you a very happy Thanksgiving. 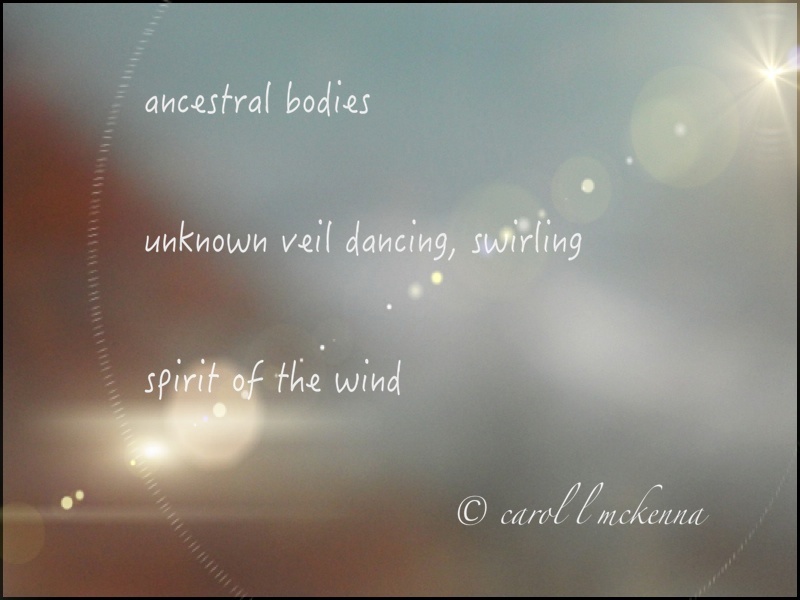 When those ancestral spirits start swirling, watch out! 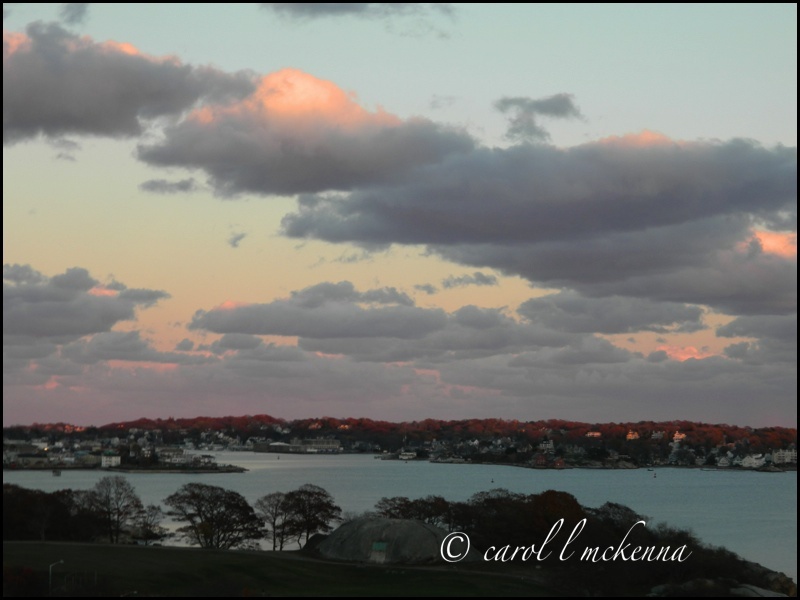 fab photos and really beautiful haikus Carol-a very happy Thanksgiiving to you , artmuse dog and your loved ones! Love the photos of the bark. Happy thanksgiving. Beautiful post, a lot to study closer! It looked cold on that beach and I bet it was! Carol, are you spending any time this winter in coastal Georgia?? I like your pretty bark picture, a nice one for "B" day. I hope all of you and Art will have a happy Thanksgiving. Really love the first tree bark shot! Have a Happy Thanksgiving and be sure to share a little turkey with ArtMuse Dog! I love that first shot. I have a soft spot for our cousins, the trees. Happy thanksgiving. Lovely. I like the tree bark macros. 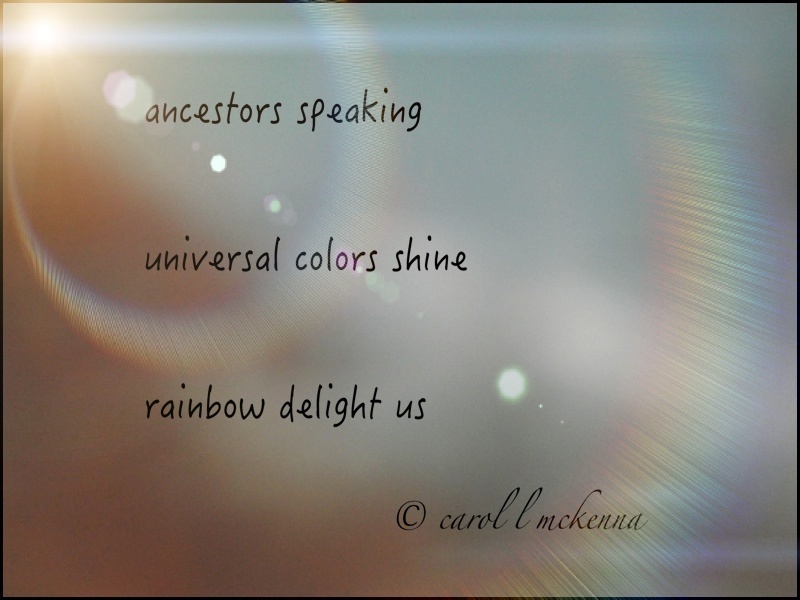 Ate our ancestors talk to us in the colours of a rainbow? Happy Thanksgiving Carol! It looks like you had a special day, I did too, so fortunate we are to share such memories... 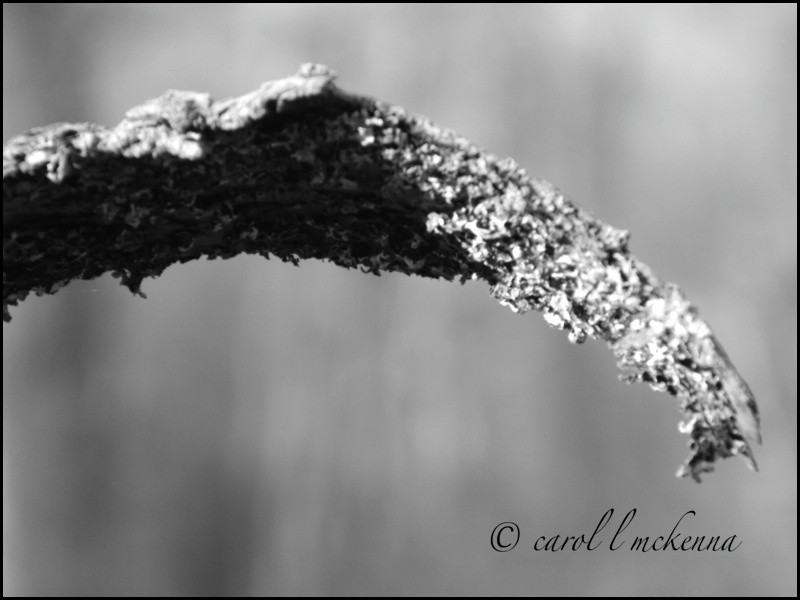 I especially love the first winter photo, and the one of the peeling bark from afar and close up. Your haiku... touch my heart. Stay warm and cozy! lovely to return from the warm colours and hearts of mexico into the brightness of yours! thanks for keeping the haiku fire burning while i was away. If life weren't a mixed bag, it would be rather boring, don't you think? I particularly love that first picture with the snow. So very beautiful. Have a lovely weekend. Winter has set in and I can feel the chill through your pics. I love the cute squirrel and the ducks. Newly fallen snow is so pretty. Have a wonderful weekend! 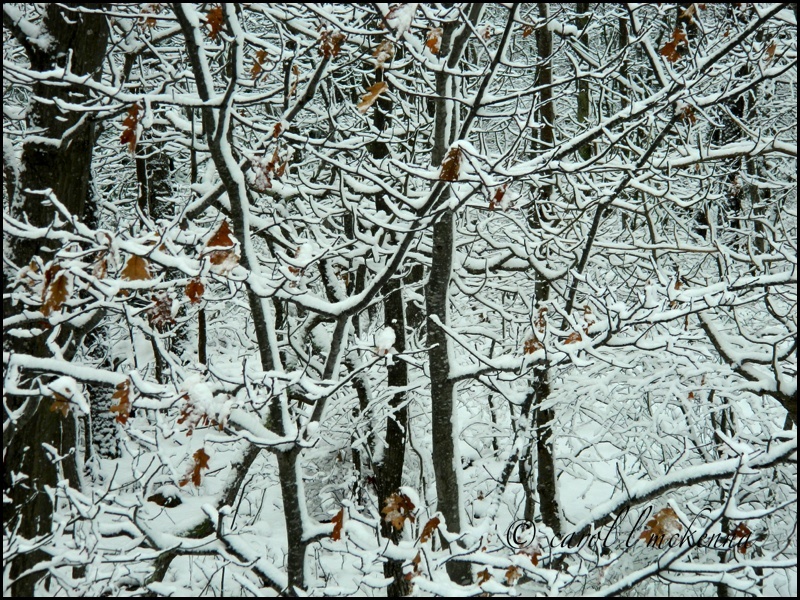 Hi Carol, all of your photos are splendid but I do love your filigree of snow branches today. A belated Happy Thanksgiving! I'll excuse the squirrel nabbing the suet but I expect birds soon. Best regards to yourself and my little friend. You have such pretty pictures! 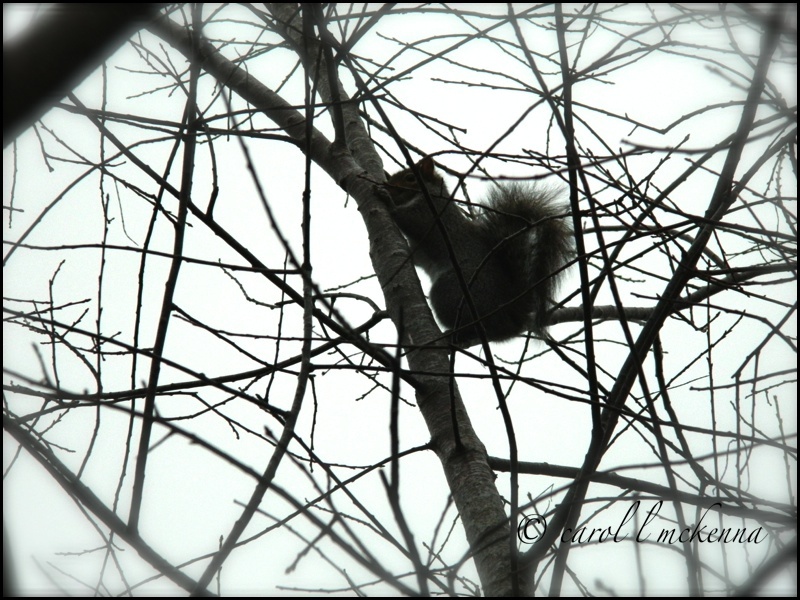 I'm loving your B&W picture with squirrel in the tree. I thought the bark was frozen snow at first. The B&W close-up is amazing. Of course the squirrel steals the show here...but those stormy clouds are beautiful and ominous at the same time! And your snowy aftermath looks a lot like a Doolittle painting! What an interesting photo of the tree bark! Love the little squirrel, it's so cute ! Thanks for sharing all these beautiful pictures! The bark picture was especially neat. Your snow on the tree branches looks exactly like the hill out behind my house - so crazy to have a "white" thanksgiving. It's making me wish for a really white Christmas!! On your snow picture, your remaining leaves on the trees almost looked like female cardinals at first glance!